At Kohler, we believe a person’s bathroom is their sanctuary, a peaceful haven set apart from the frenzied pace of today’s lifestyle where all stresses and worries are left at the door. The ModernLife collection has been designed with these exact things in mind. The collection features a modern design with simplicity, clean lines and seamless curves, that provide a superior blend of comfort and convenience. Every aspect from the rimless bowl to the easy-to-clean FDI coating has been crafted to deliver the ultimate hygiene without compromising on style and aesthetics. The Red Dot Design Award is one of the most prestigious design awards worldwide and honors innovation, concepts and visions. The ModernLife toilet’s discreet design and practical cleaning features won this prestigious award for product design. The ModernLife collection is a perfectly versatile option for a contemporary lifestyle. Its simple yet stylish design make it at home in a small urban bathroom as well as generous spaces that require trendy aesthetics. The elegant design blended with the remarkable functionality make your modern life that much effortless. 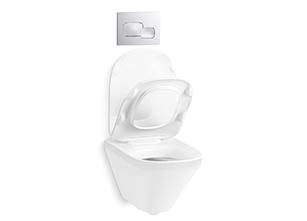 The ModernLife™ wall-hung toilet is the new standard in effortless hygiene. Featuring an ultra-thin easy-lift seat, that can be removed with a simple vertical lift, it is perfect for the ultimate in bathroom cleanliness. 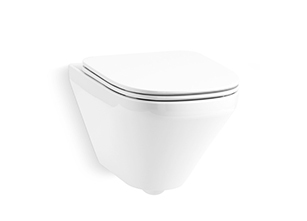 The rimless bowl ensures no hidden dirt traps, no stains, and super-easy cleaning. Crafted to facilitate a quick yet thorough cleaning of the surrounding areas, its streamlined and unique design contains no groove to prevent unhygienic build-up. Keeping the modern aesthetic in mind, the ModernLife™ vessel sinks feature contemporary designs and timeless simplicity. The DFI stain resistant coating makes the basins remarkably easy to clean and maintain and the wipe clean flow offers no hidden areas to trap dirt or build-up. 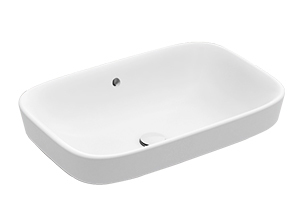 The sinks are available in two variants to suit your design needs. Choose between the vessel without a tap deck, or the vessel which includes a tap deck.